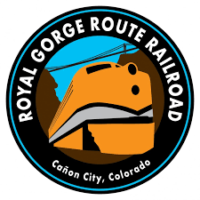 Your Jeep & Train adventure begins at our Cañon City office with an 8am check-in, where you’ll set out to your jeeping destination of Red Canyon or Royal Gorge. 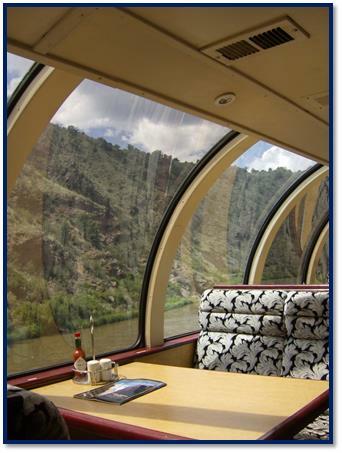 After your morning jeep tour, we’ll provide you with train tickets (your choice of Coach or Dome), where you’ll skip the ticket line at the Royal Gorge depot when you board the afternoon train. 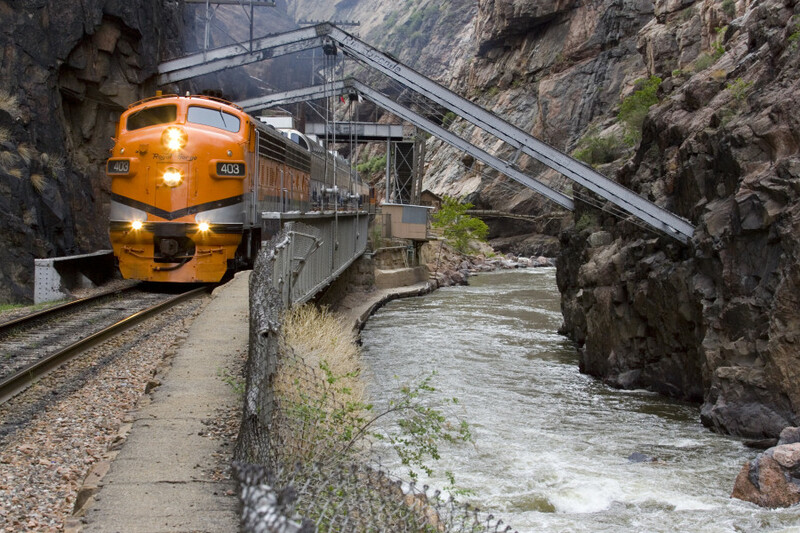 On the 1.75 hour ride (which departs the depot at 12:30pm), you’ll take a 24-mile rail excursion through the 1,100-foot-deep Royal Gorge, alongside the raging Arkansas River. 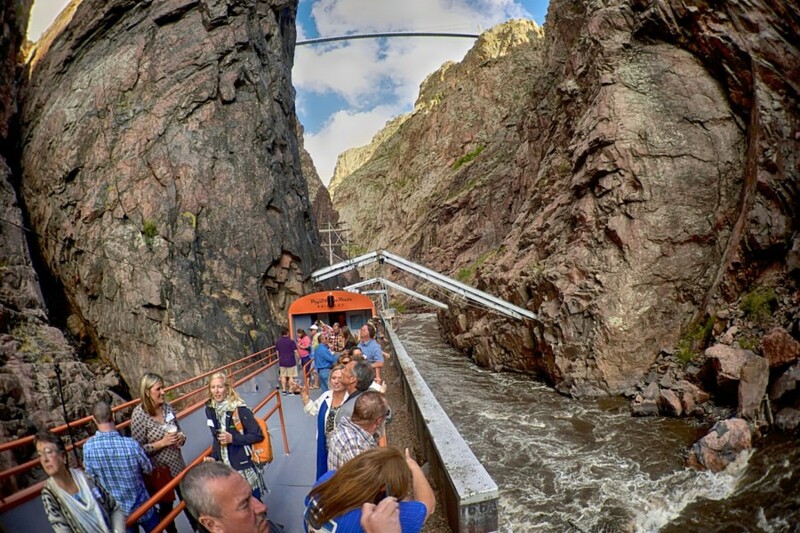 Throughout the ride, you’ll have the opportunity to see Colorado wildlife, including bald eagles, Heron, Rocky Mountain bighorn sheep, mule deer, and flora native to the gorge. 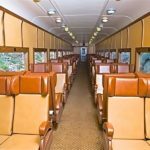 This unique Jeep & Train adventure is a chance to combine Fremont County’s only guided Jeep experience with a slice of Rocky Mountain railroad history. 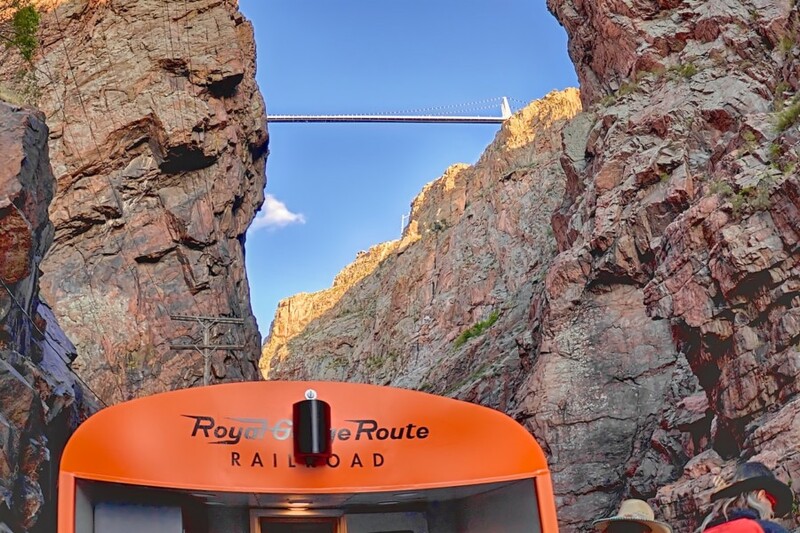 As an added bonus, if you select the Royal Gorge Jeep Tour option below you’ll receive a FREE Royal Gorge Bridge & Park admission ticket! 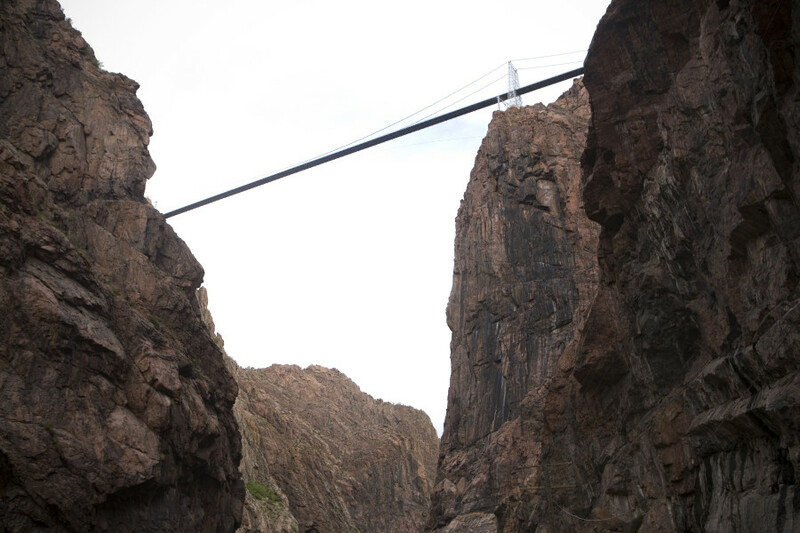 Continue your fun by returning to the Royal Gorge on your own to explore the Visitor Center, Theater, ride the gondola, hike the park’s trails, and walk the bridge at your leisure. 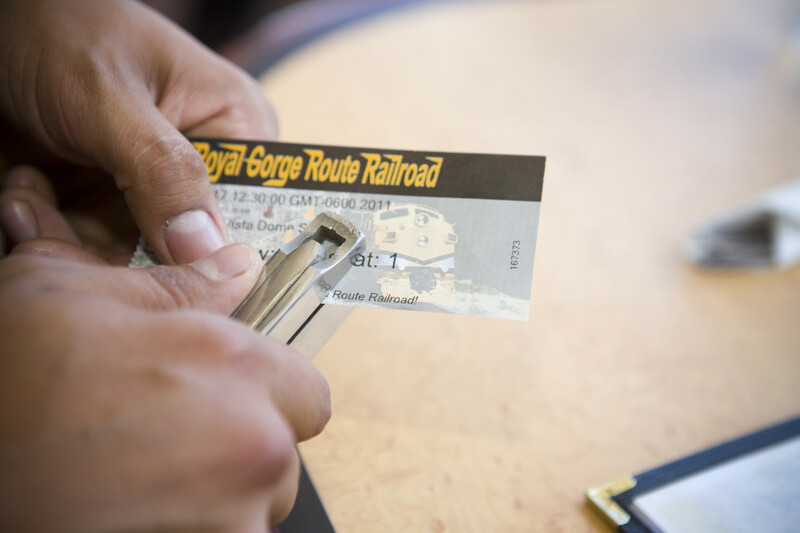 Bridge tickets typically cost up to $28 (varies by season), so this bonus will save you $$$ over purchasing a jeep tour, train ride, and bridge tickets separately. 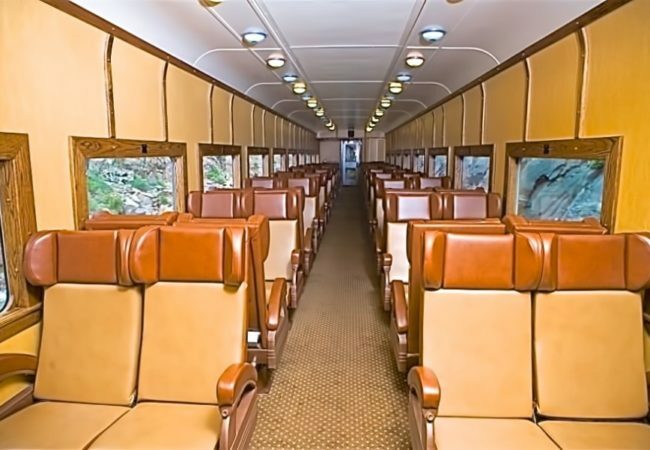 You can return to the bridge after your Jeep & Train, and stay until dusk, or save your ticket to use the next day. Two days of fun for the price of one. 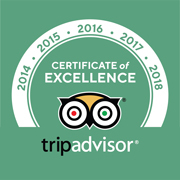 Availability: March to October, 7 days/week. Varies depending on train schedule. Ages: All ages welcome. If a child requires a booster seat in the jeep, customer must bring one. Child seats are not allowed on the train. 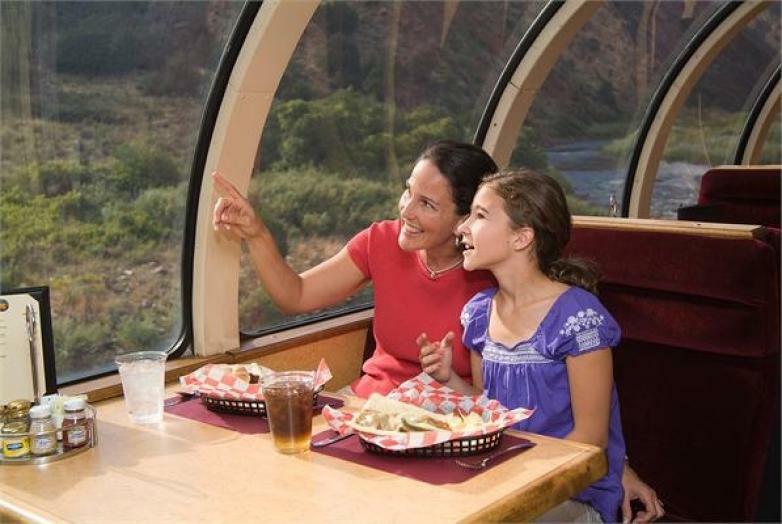 Children under 3 on a parent’s lap ride the train at no charge. 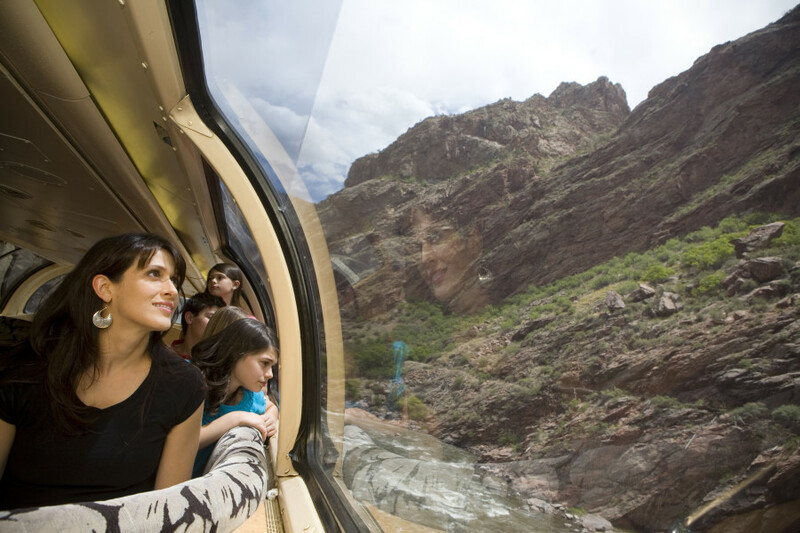 Customize the Royal Gorge train ride to suit your budget. 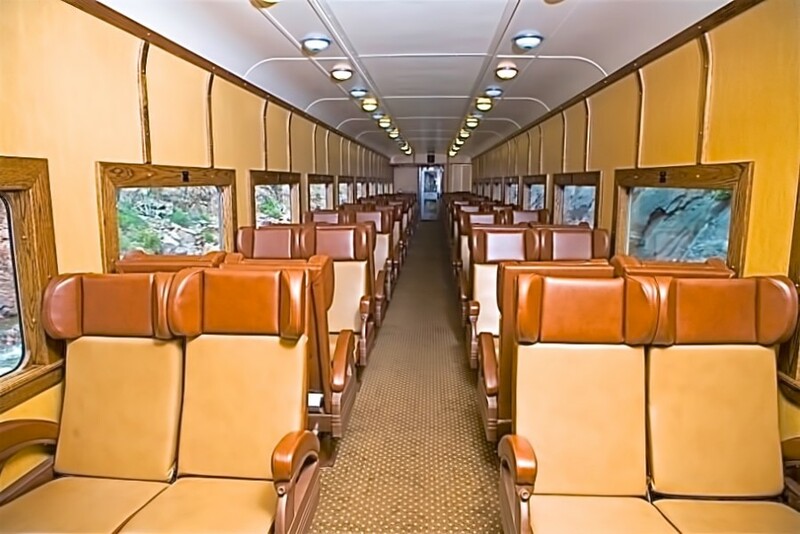 Our Jeep & Train package includes comfortable coach seats with large windows to take in the spectacular views. Or, to get the most out of this once-in-a-lifetime experience, we recommend an upgrade to the dome car for $30/person, which features a large glass window that curves up to the roof, offering unobstructed views of the canyons and river. Select one of two jeep tour locations with this package – the Red Canyon Tour (approximately 3 hours) takes you through bright red towering spires and monoliths sculpted by the erosion of a layer of sedimentary rock made famous by Red Rocks, Garden of the Gods, and Morrison. 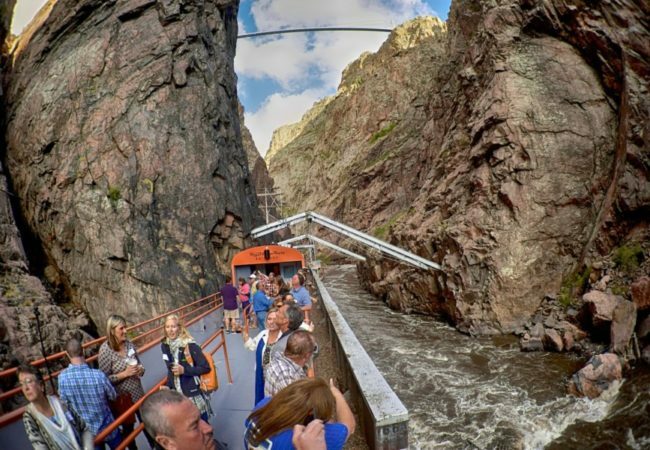 Or, choose the popular Royal Gorge Tour (approximately 3.5 hours) that crosses the historic Royal Gorge Bridge and explores the beautiful overlooks and steep drop-offs into the roaring Arkansas River. 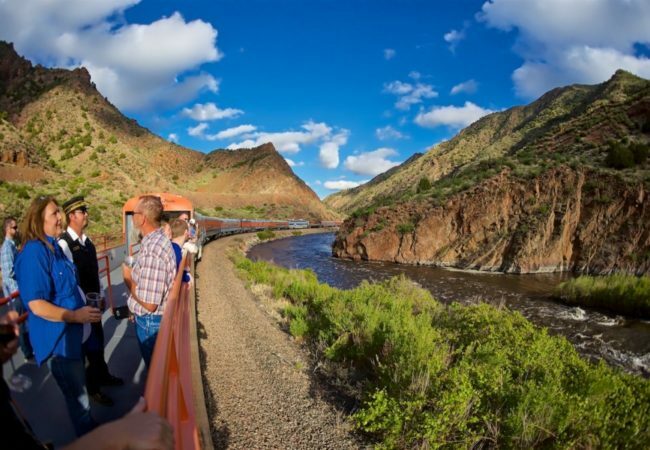 Although both of these jeep tours are fantastic, we recommend selecting the Royal Gorge Tour with this Jeep & Train package, as it gives you an opportunity to experience the gorge from the railroad tracks alongside the Arkansas River at the bottom of the gorge AND drive over the Royal Gorge Bridge! 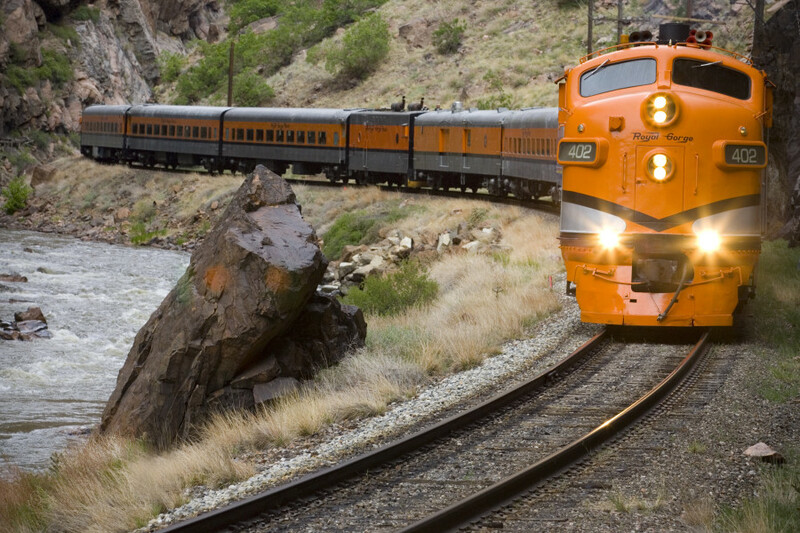 And, as a bonus, you’ll receive complimentary bridge admission tickets if you select the Royal Gorge Jeep & Train, and book your combo tour on our website. 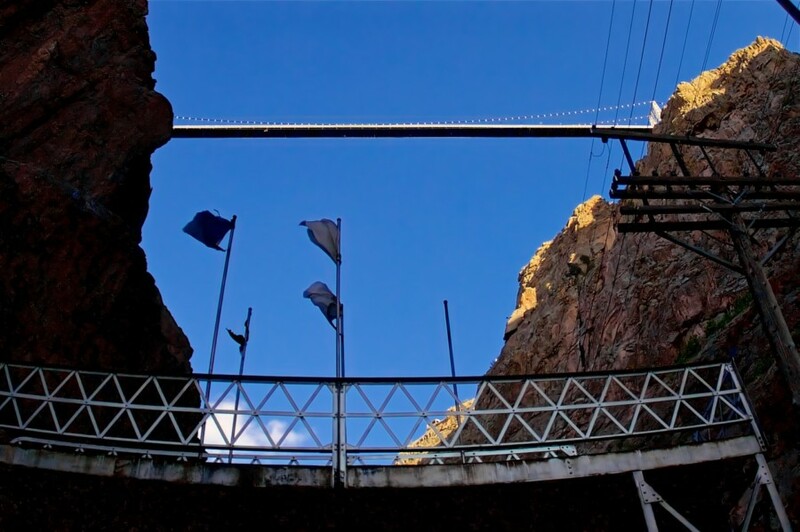 • Zip Line over the Royal Gorge: $45/person. AM Royal Gorge Jeep only. Minimum age 10. • Wine tasting at Holy Cross Abbey after the tour. Additional fee applies.